Mayan Explore offers you a brief Cozumel Travel Guide in order to find out the best things to do in this island, where to stay and vacation deals. 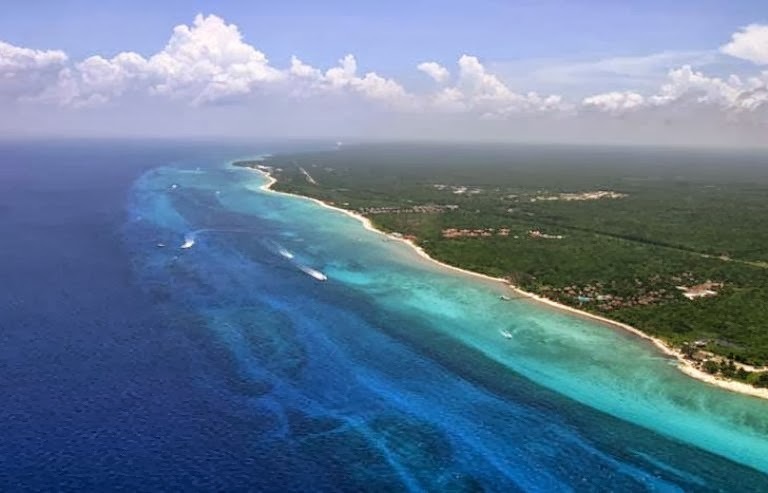 Cozumel Is located 56 miles south of Cancun and 12 miles off the eastern coast of the Yucatan Peninsula. It is Mexico’s largest Caribbean island and stretches about 30 miles long and 10 miles wide. Cozumel has some of the most luxurious hotels and resorts and hotels in the whole of the Mexican Caribbean. There are some direct flights to the Cozumel Airport. In this island you will also find some all inclusive hotels. Cozumel means “Land of the Swallow” in the Mayan Language, and was named after the indigenous graceful birds that can be seen regularly patrolling Cozumel’s beautiful beaches and coastline. Cozumel was sacred for Mayan women, who crossed from the mainland to the island in open canoes to worship Ixchel, the Goddess of fertility and to give offerings at her altar. Only few decades ago Cozumel was a quiet fishing village that received only a handful of visitors each year. In the sixties, French explorer Jacques Cousteau introduced the remarkable local reefs to the diving world. Nowadays, the Island is declared one of the world’s top diving destinations thanks to the unusually clear waters and more than 200 species of marine wildlife. Dazzling white sandy beaches, the multi-hued azure Caribbean ocean and soft subtropical climate make this place particularly enjoyable. Despite the tourist boom and residential development in the past few years, the center of Cozumel is still covered by a thick untouched jungle. The renowned Chankanaab National Park, the Punta Sur Ecological Reserve Park and the famous Colombia Lagoon are located there. The combination of great diving, fishing, paradisiacal isolated beaches and a friendly city of San Miguel full of shops, markets and restaurants, make Cozumel an unforgettable vacation destination well worth to visit. • Three blocks from the church is the Museo del la Isla – this has a great display of some Mayan artifacts. • Have a tasty lunch in the world’s smallest Hard Rock Café! •Shopping on Cozumel is great! Tax free! • Be sure to see the giant statue of the 3 swallows at cozumels port. How is the weather in Cozumel? is the same as in all the Riviera Maya. Diving in Cozumel is amazing, the best sites can be found at: the Colombia, Palancar, San Francisco and Santa Rosa reefs. The Chankanaab Park also has some of great diving spots. If you want to , theres also a scuba club. Where to stay in Cozumel? There are many all inclusive resorts, small hotels and villas and condos for rent. If you’re looking for cheap hotels or hostels in Cozumel we recommend you the Beachouse Hostel Cozumel , Amigos Hostel Cozumel and hotel La casona Real Cozumel. Esta entrada fue publicada en Uncategorized y etiquetada cozumel, Cozumel holidays, Cozumel hotels, Cozumel island, cozumel lodging, Cozumel Mexico, cozumel tours, Cozumel Travel guide, cozumel vacations, isla de cozumel, things to do in Cozumel. Guarda el enlace permanente.